You may know Selena Gomez from movies like The Wizards of Waverly Place: The Movie and more recently Ramona and Beezus, or from her band Selena and The Scene, but here are some things you might not know about this Disney teen star! Even though she’s busy acting and singing her heart out, this adorable starlet always makes time for charity: Selena was the youngest ambassador for UNICEF when she started in 2009. She is named after the famous Tejano singer Selena, there must be something to this name! She has four dogs at home, one of which she adopted from a shelter—Chip! But let’s hope that Justin doesn’t get jealous, this Selena has admitted that her celebrity crush is Shia LaBoeuf from the Transformers movies, and formerly dated Nick Jonas. 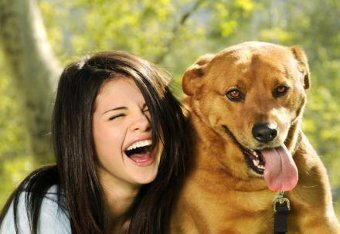 It's A Dog's Life: Selena has 4 dogs at home! Selena met her BBF Demi Lovato in the audition for Barney and Friends, where Demi says they coloured with crayons together! 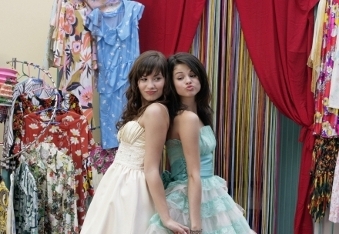 They have a show on Youtube together, The Demi and Selena Show, and are inseparable friends for life. Her favourite snack is chocolate chip cookies, yum! Some of her favourite musical artists include Fall Out Boy, Christina Aguilera and her friend Vanessa Hudgens. Another singer she loves is Katy Perry, and Katy must love her as well because she gave Selena a song she wrote for Selena and The Scene’s second album! Selena likes Katy so much, she even wanted to go as her for Halloween one year!